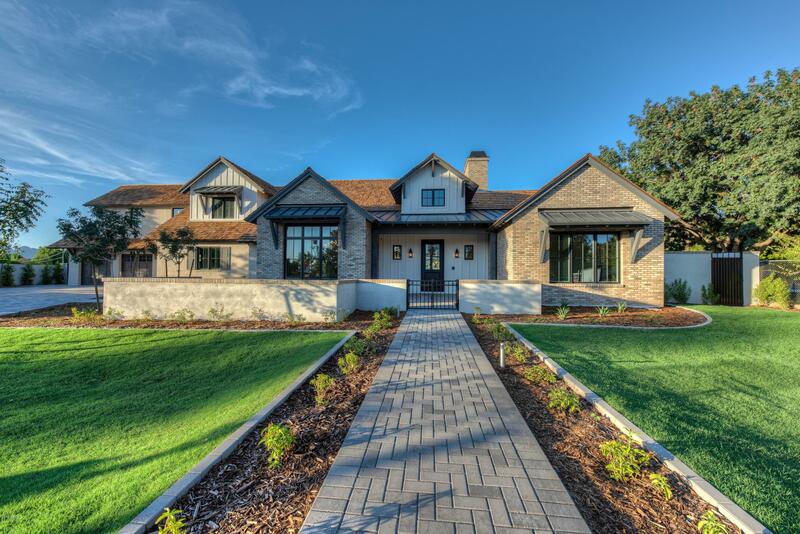 All homes currently listed for sale in the zip code 85018 as of 04/23/2019 are shown below. You can change the search criteria at any time by pressing the 'Change Search' button below. 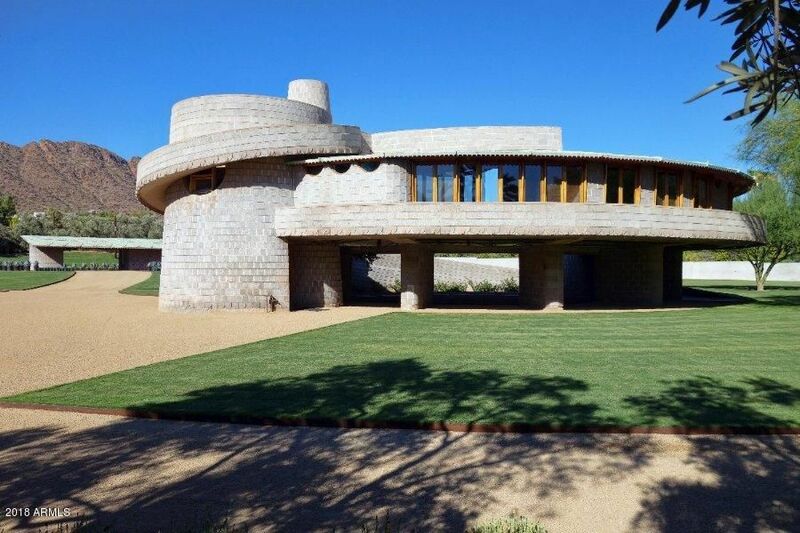 "***See Virtual/3D Tour under Photos Tab. 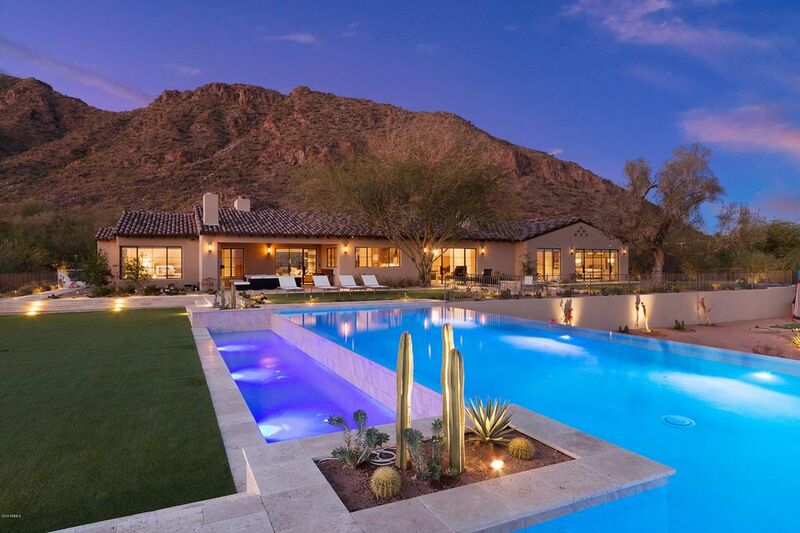 Privately gated estate nestled at the base of Arizona's iconic Camelback Mountain, these views are unparalleled! 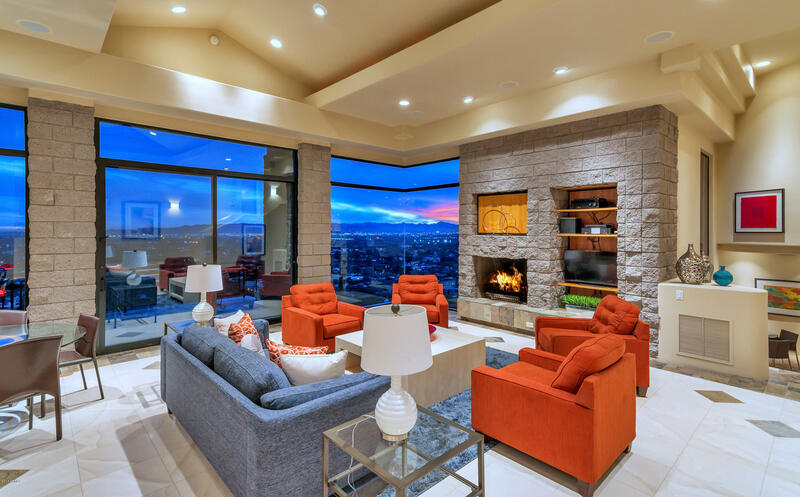 A pristine exterior presence exudes from its stunning elevation providing captivating 360-degree mountain & city light views. The interior, neutral-gray palette with subtle nuances and striking black accents create the perfect backdrop to inspire individual creativity. 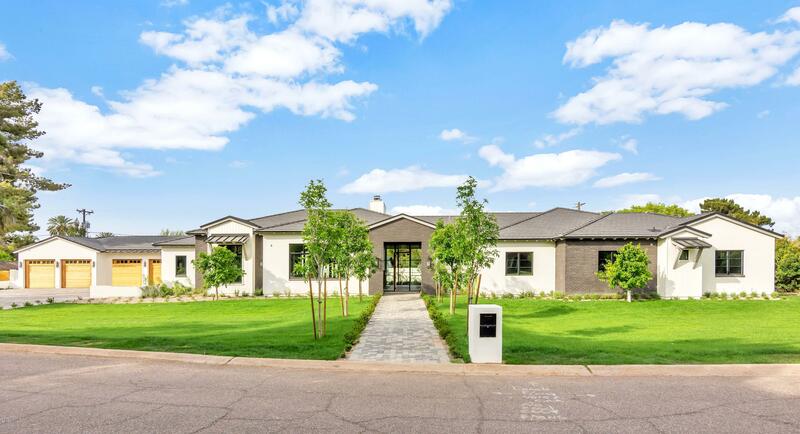 Towering ceilings & custom-glazed windows give a welcoming abundance of beau"
"FANTASTIC HOME IN THE HIGHLY SOUGHT AFTER ARCADIA COMMUNITY!! 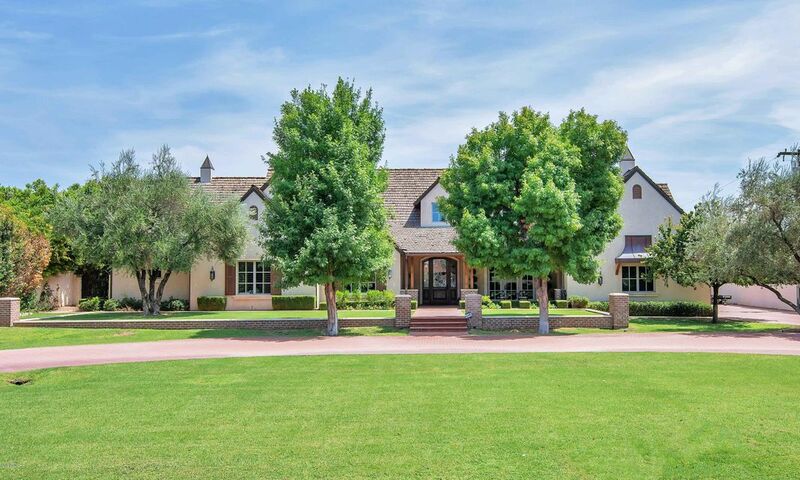 This Spectacular home is loaded with top of the line finishes throughout. All rooms are spacious and comfortable. 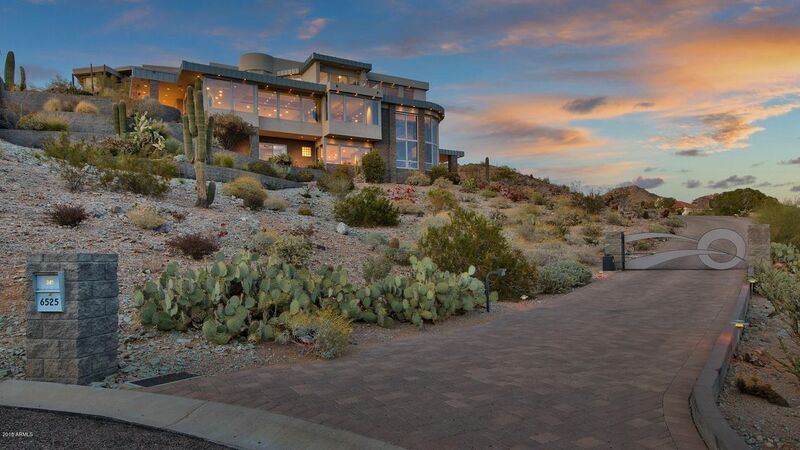 Floor to ceiling glass greets you when you enter showcasing Camelback Mountain! 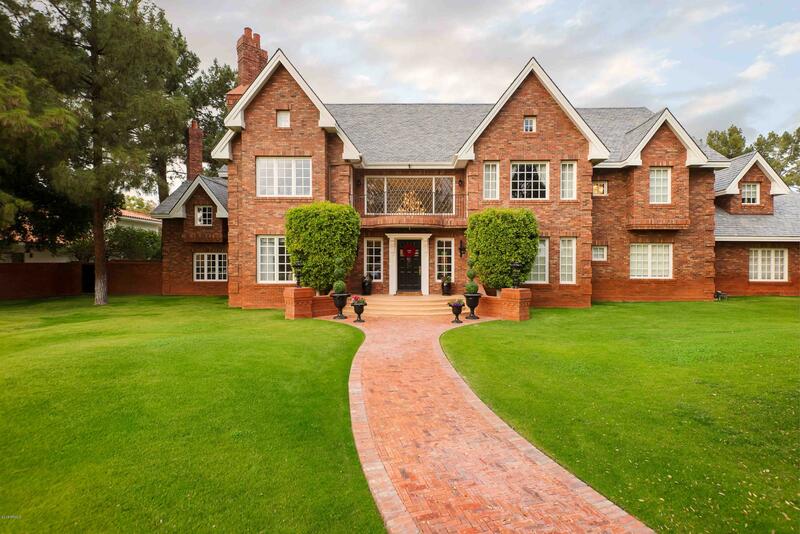 There are 5 (or 6) bedrooms, 6 baths, Chefs Kitchen, office, workout room and guest house. The living areas are magnificent with hickory hardwood floors, stone floors and high end carpets. 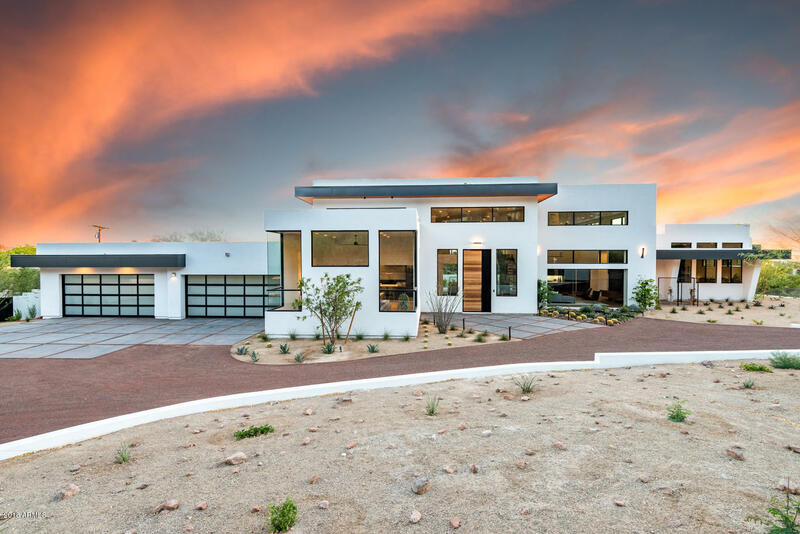 The Resort Style backyard oasis completes this masterpi"
"NEW CONSTRUCTION - This is the latest creation from international design architects, REALM Architecture + Design! 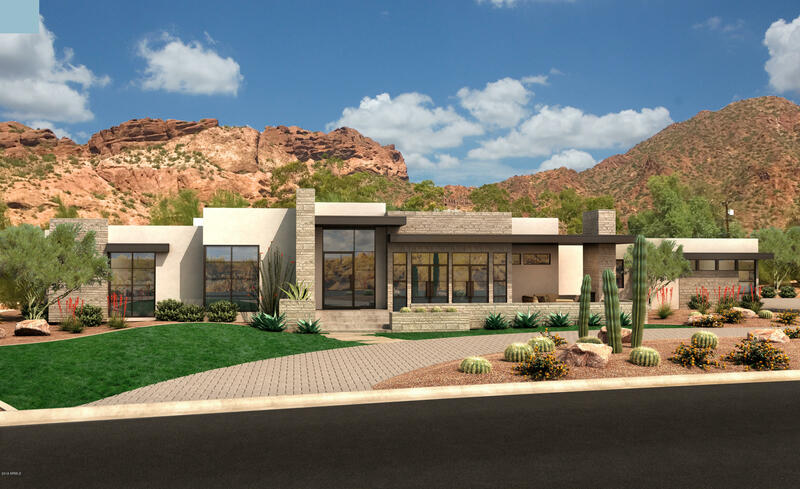 On the doorstep of Camelback Mountain, this warm contemporary masterpiece affords the highest level of gracious living and luxurious finishes. 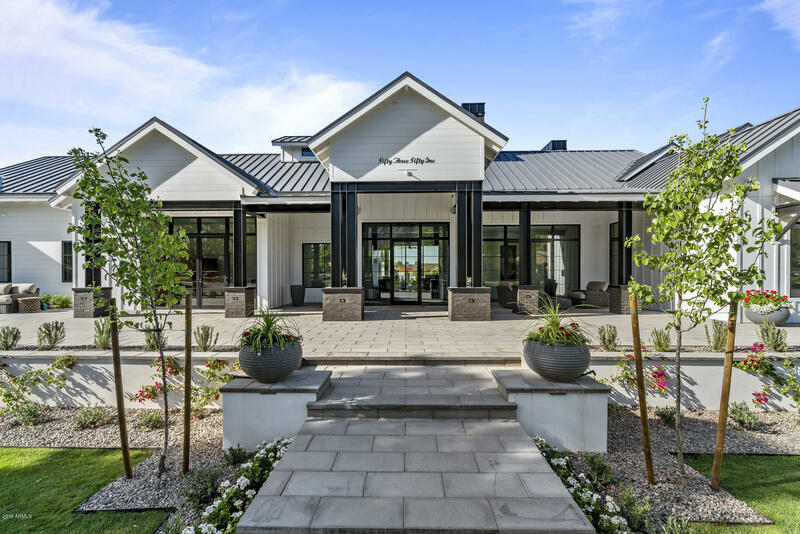 The bright, open floor plan unfolds as you enter; the living spaces easily accommodate large groups for entertaining but are cozy enough for intimate gatherings. 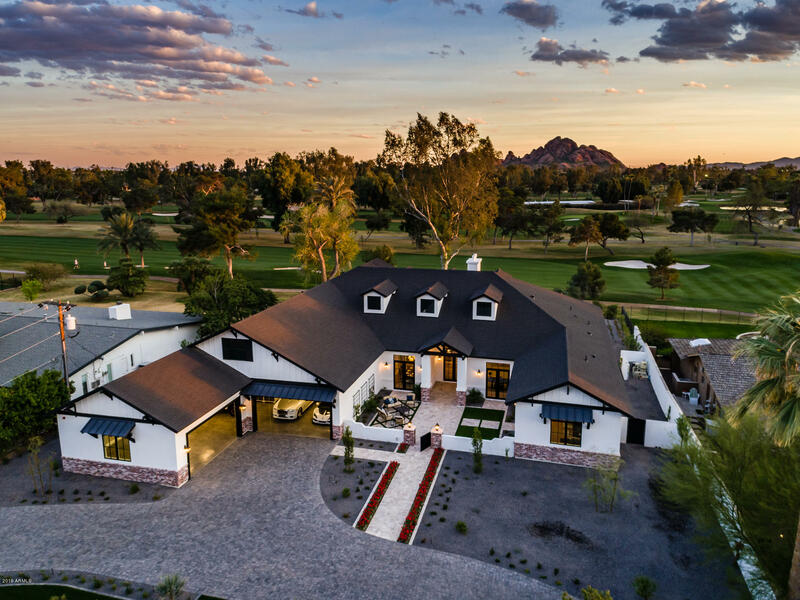 Incredible Camelback views on the north side and South Mountain views to the sout"
"Elegant gated resort living at its finest w/ private guest quarters. 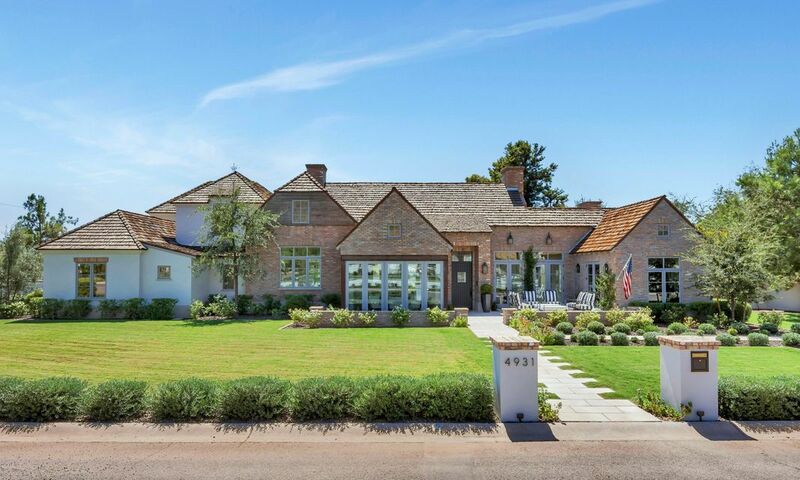 This 6 beds/7 bath PLUS flex room features exotic hand scraped hard wood floors, high coffered exotic wood ceilings, extensive handcrafted wood work & wainscoting. Chef's kitchen features top of the line appliances, & opens to great room. 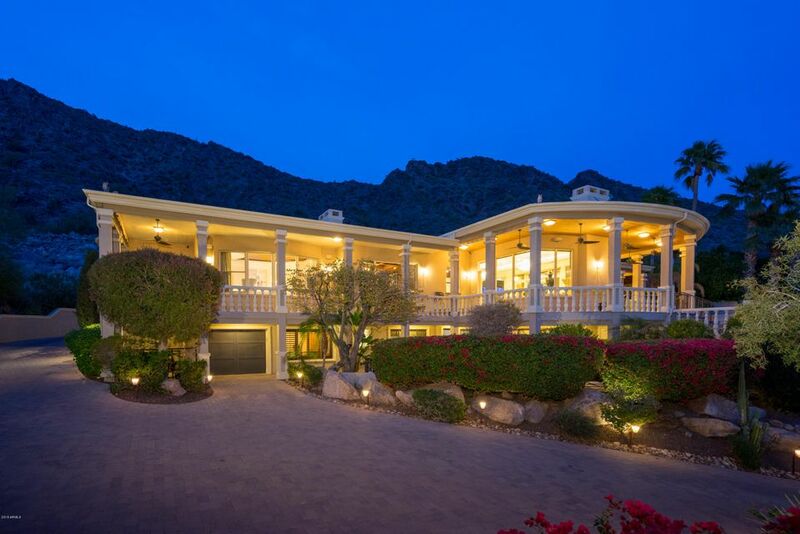 Entertainer's wet bar w/ hand carved imported exotic wood slab, & climatized wine cellar. Sliding glass wall to allow indoor/out door living & sweeping patio w/ beach entrance pool, spa, sp"
"VIEWS impossible to replicate at under $3M. 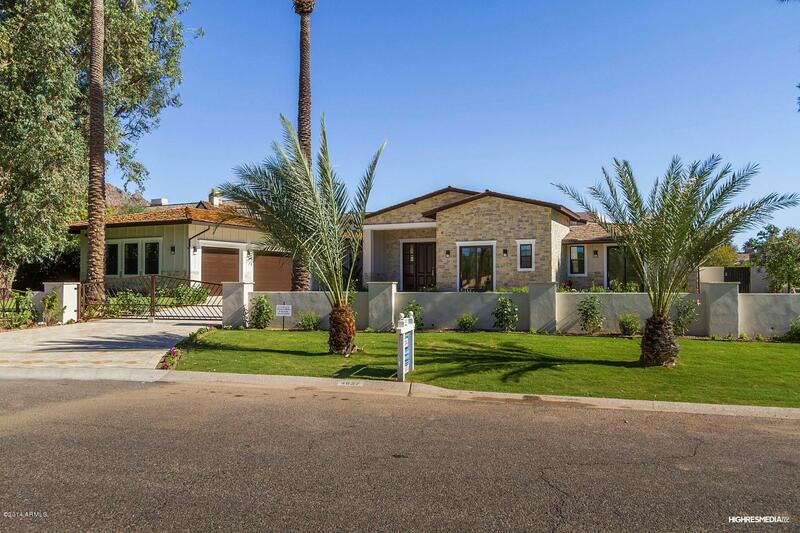 Arcadia/ Paradise Valley, between Phoenician & Royal Palms Resorts. 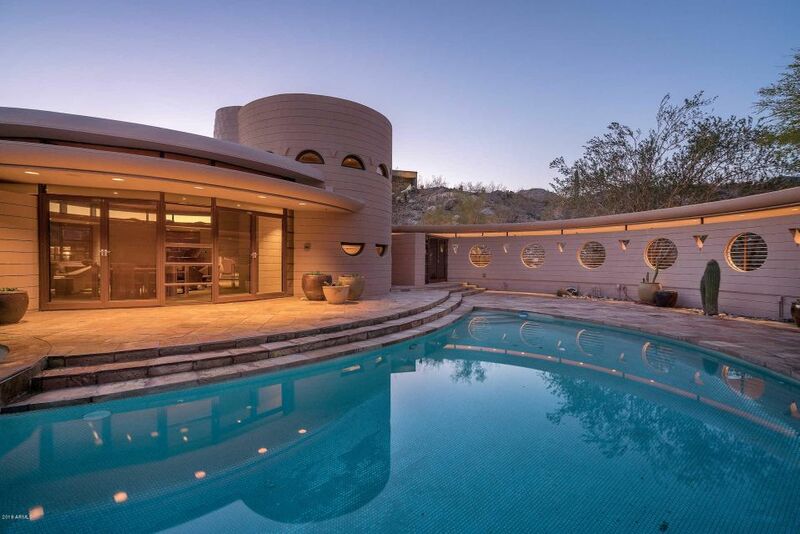 Privately gated estate sitting high on Camelback Mountain. Quick access to Downtown. No HOA. Quiet street. 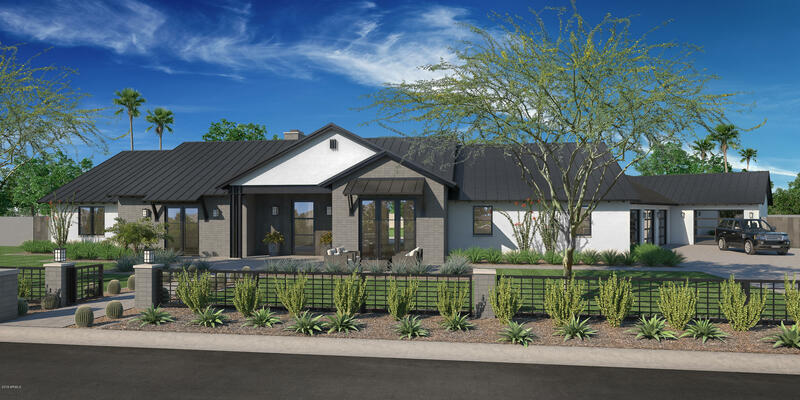 Built for views of downtown Phoenix, South Mountain, 4 peaks. Backs to Camelback Mountain! 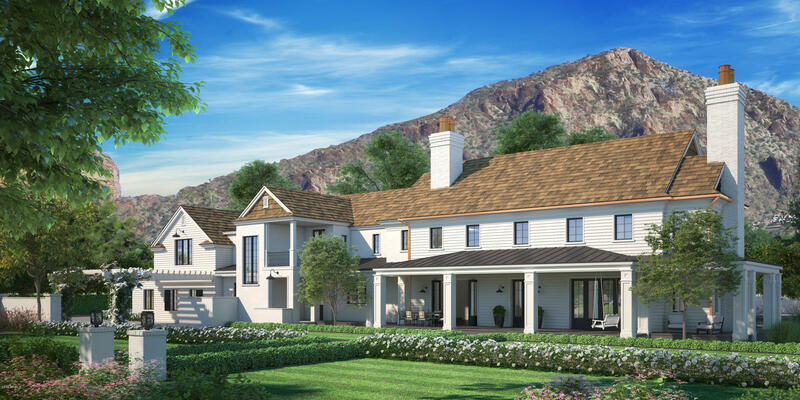 Rare at this elevation: Main level accommodates 3,800 sqft of primary rooms with direct Garage access & Master Bedroom. Downstairs to 2 Guest bedrooms and large game room. 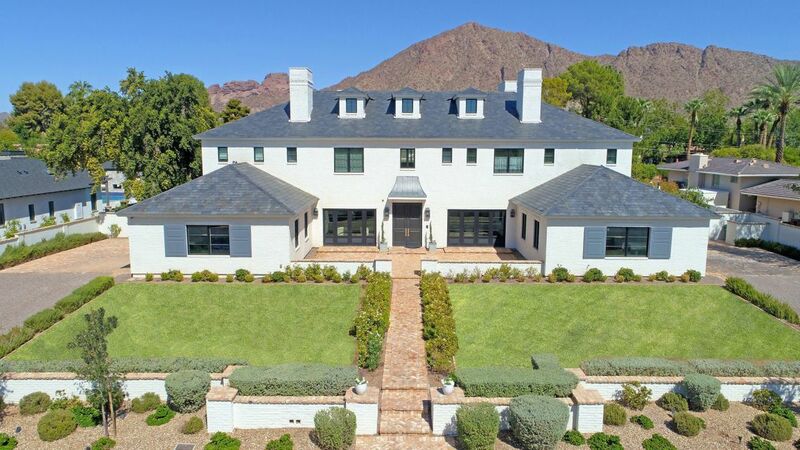 A Separate 800sqft"
"Rarely does a Mountainside Estate with VIEWS this EXQUISITE become available. 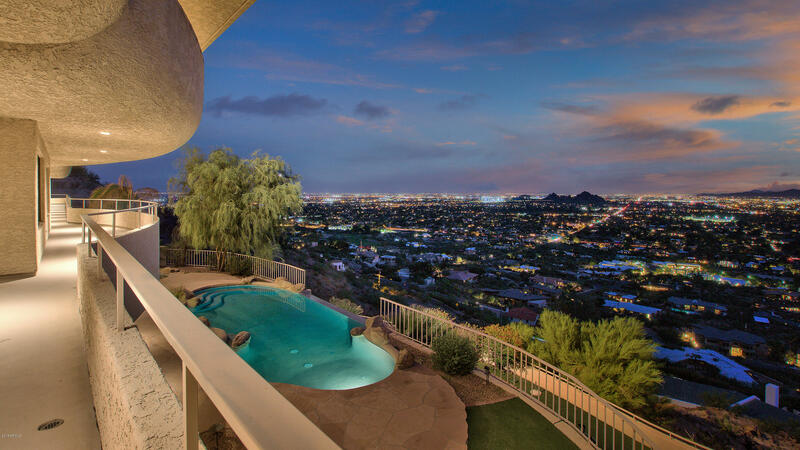 A Magnificent Contemporary Estate perched high on the south side of Camelback Mountain with 180 degree sweeping views capturing picturesque sunsets & twinkling city lights. 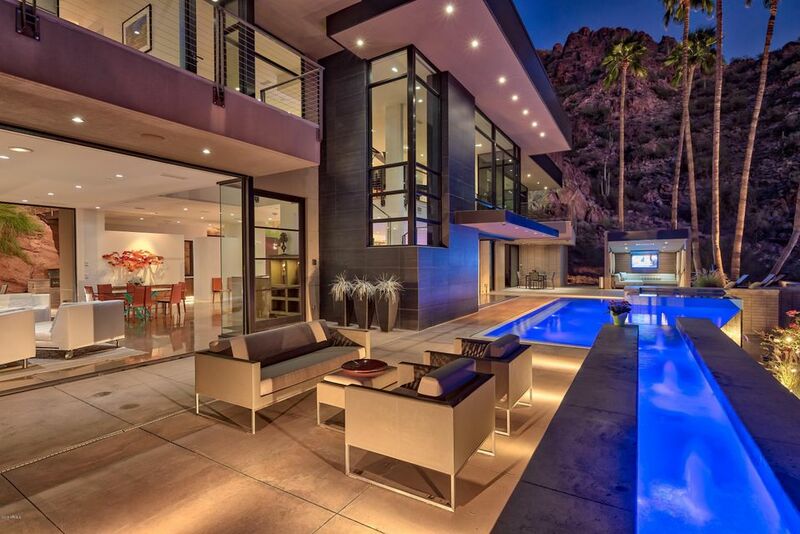 Beauty, Luxury & Architectural mastery in design with over 5900 sf of sleek modern finishes combining beautiful stone details, wall to wall picture windows, a negative edge pool spilling off the mountain and full length terraces artfully capturing"